This blog is a resource for married couples or single people on how to create a successful marriage or relationship. Plus, an up-to-date referral source for the best-selling books on relationships and marriage. Are there secrets to a good marriage? And if so, what are they? The answer to the first question is 'Yes.' The answer to the second question is a little more involved and before I begin to get into it let me introduce myself. I am the Marriage Authority in charge of SaveYourMarriage.com. You may ask yourself, what makes this person an authority? Well, to begin with I have been married for over 36 years and I know that I will be married to my spouse until I die or until my spouse dies. The answer to that question is the first secret to staying married. So, I will reveal Secret #1. Decide to stay married for life. Not very earth shattering is it? Oh, but it is. What precedes every action you take in life? The answer quite simply are decisions. First there is the decision, then comes the action. Example: You decide to call your spouse. Then you go through the action of calling your spouse. You don't call your spouse first, then decide to do it. All actions are preceded by a decision. To end a marriage you or your spouse must decide to end it. If you never decide to end it how could it end? You may say it will end because my spouse wants it to end. But if your spouse has decided to end it, then you need help to get them to change their mind. How to get your spouse to change their mind is another one of the secrets to staying married. A book about the all the secrets to having a good marriage and staying married is soon to be published. Keep coming back to this website for future blog posts with advice and to find out the publication date of the new book on having a successful marriage. 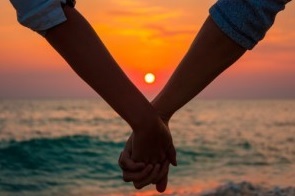 Until then take a look at some of the current best sellers on marriage and relationships over to the right of this blog and remember a happy marriage means a happy life. Christmas is Coming! Don't Blow It! 2015. Simple theme. Theme images by luoman. Powered by Blogger.